Who is loved and remembered in Russia? The statue dedicated to the French wartime leader and president Charles de Gaulle was unveiled in front of the Hotel Cosmos in 2005, to mark the 60th anniversary of Russia’s Victory Day. It was inaugurated by Russian President Vladimir Putin and the then French President Jacques Chirac. The figure was the work of sculptor Zurab Tsereteli, who also created the gigantic Peter the Great in Moscow and the Tear of Grief in New York. Muscovites have criticized his work on many occasions. They call the eight-meter-tall general standing on a 10-meter pedestal a “scarecrow.” Many still think it is not of de Gaulle, but French comedy actor Louis de Funès from the Gendarme series of the 1960-1970s. As Russian society began to look down on Soviet communists, their monuments were removed. For example the one to spymaster Felix Dzerzhinsky that once stood outside the Lubyanka. However, communists from other parts of the world were much luckier. Statues honoring Communism’s founders Karl Marx and Friedrich Engels still stand in many Russian cities. 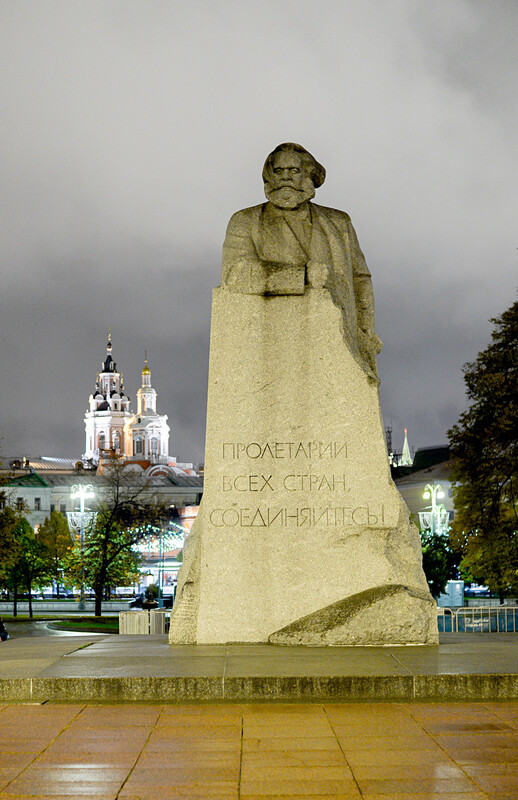 The most famous Karl Marx monument is on Teatralnaya Square in central Moscow. It was designed by Lev Kerbelem and constructed in 1961. The sculpture’s concept is based on the phrase coined by Soviet revolutionary Anatoly Lunacharsky, “Marx is a monolithic lump.” The mighty figure of the author of Das Kapital emerges from an enormous 160-ton mass of gray granite in front of the Bolshoi Theater. 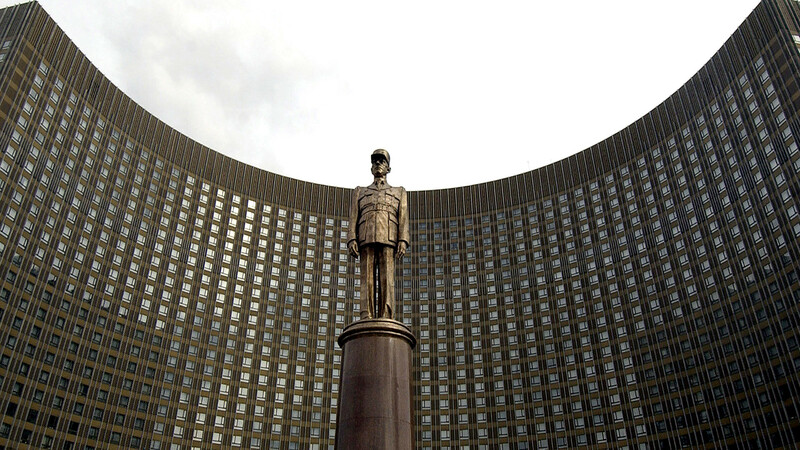 Vietnamese leader Ho Chi Minh’s monument was erected in Moscow in 1990. During his lifetime, he had explicitly asked that no monuments should be raised in his honor. However, the Soviet government decided to do otherwise, since it was during his time in the USSR that Ho Chi Minh was formed as a Communist leader. Moscow authorities uprooted some trees, and poured concrete over a flower bed outside the Akademicheskaya Metro Station, to make way for the memorial. 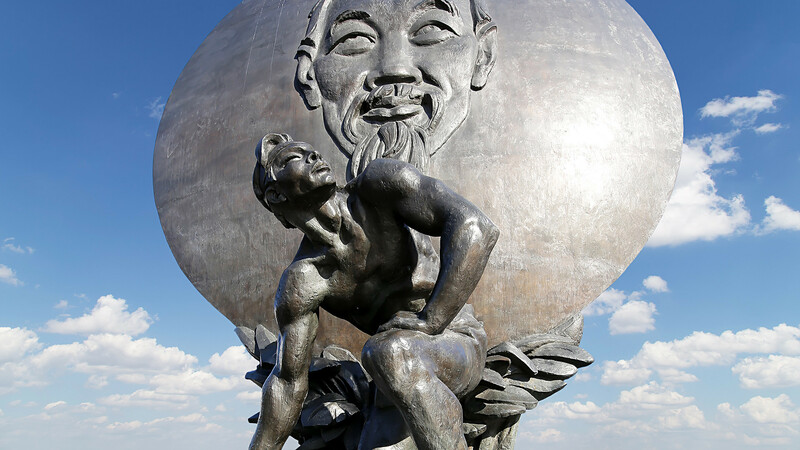 The granite monument is in the form of a portrait against the background of a sun and in front of the disk a Vietnamese man is depicted getting up from his knees. Meanwhile, German Communist leader Ernst Thälmann has had more respect in Russia. 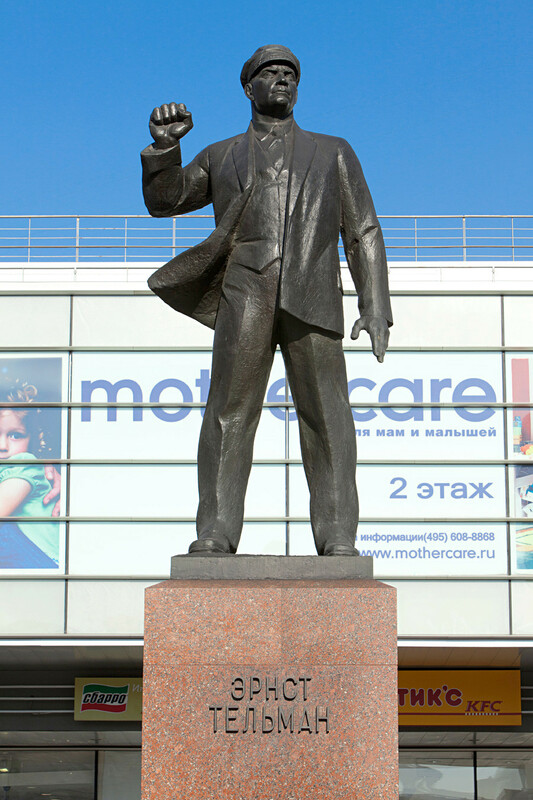 His monument still stands on the square named after him in Moscow, next to the Aeroport Metro station. After many years of debate, it wasn’t until 1987 that a monument was unveiled to Indira Gandhi, arguably the most famous Indian woman in the world. 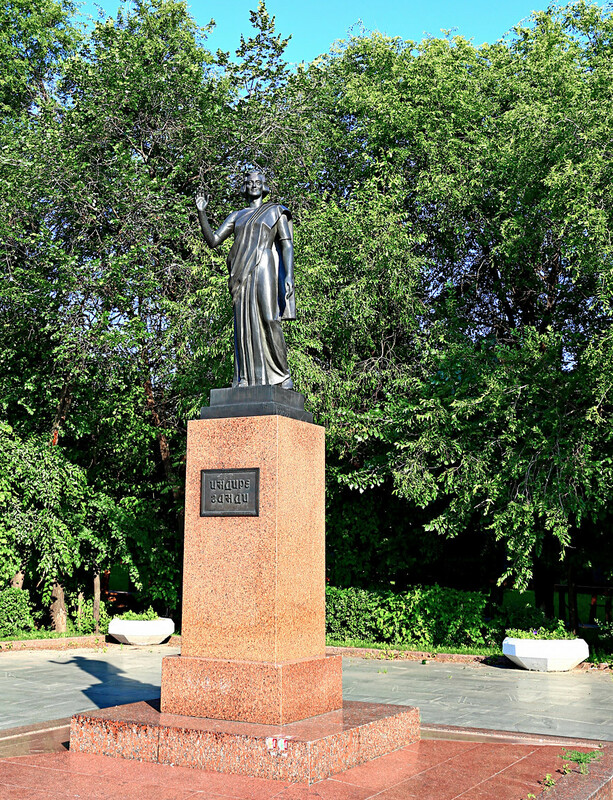 The statue stands in a square near Lomonosov Prospect, not far from Moscow State University (MSU). Indira Gandhi was so popular in the Soviet Union she was awarded an honorary professorship by MSU. 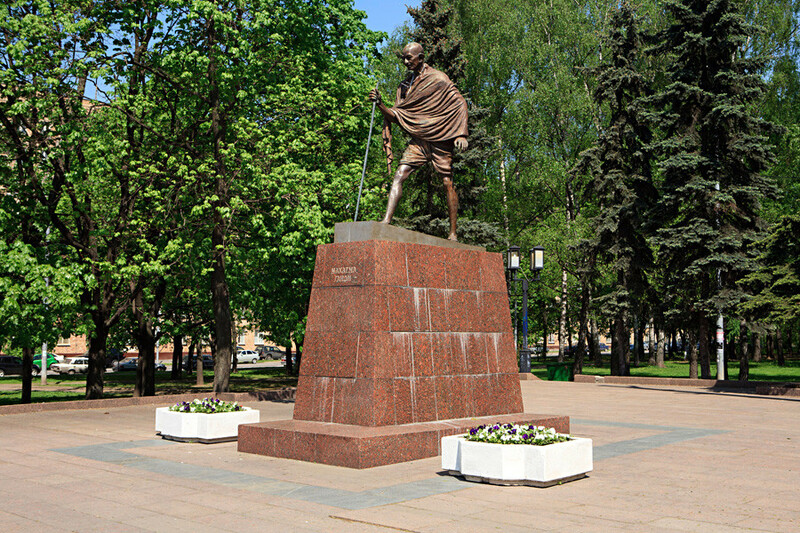 Nearby stands the Mahatma Gandhi monument, which the people of India gifted to Moscow in 1988. The fighter for Indian independence was also very popular in the USSR. He had corresponded with Lev Tolstoy and was inspired by the Russian Revolution. The idea for a monument to the ‘King of Pop’ came from the Michael Jackson Fan Club in Ekaterinburg, 1,790 kilometers east of Moscow. “Why Ekaterinburg? Because this is where Europe meets Asia. Michael is a man of the world. He was loved both in Europe and in Asia,” explained club member Alexander Olimpiev. 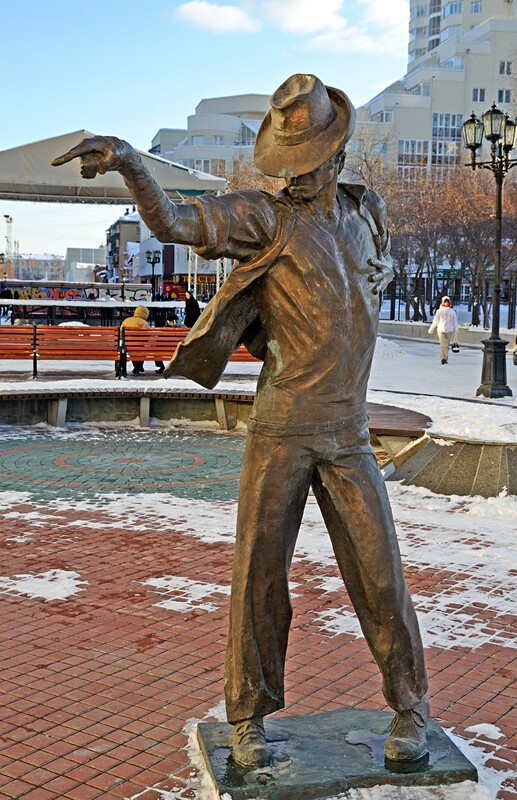 The three-meter, half a ton statue depicts Michael in his favorite pose. It was erected in 2011, two years after the singer’s death. Actually, the monument in Kaliningrad, 1,300 kilometers west of Moscow, dedicated to the German philosopher and poet isn’t really Russian. It was erected by the Germans in 1910 when the city was called Königsberg and was then part of Germany. But the Russians have taken the statue to their heart and despite war and social unrest have tried to keep it safe. The statue managed to escape the Allied bombing at the end of WWII, which destroyed half the city. Russian soldiers hung a sign on it saying, “Don’t shoot! 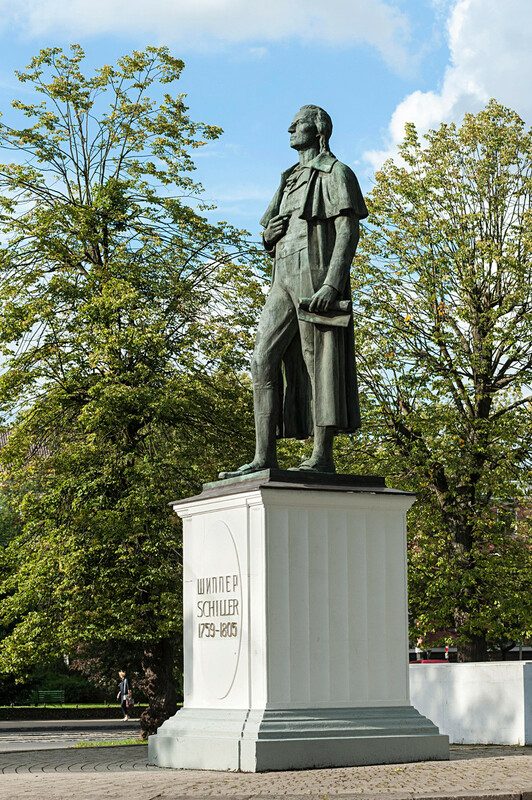 He’s one of ours!” Somehow the Schiller statue survived as the town was incorporated into the USSR in 1945 and gradually its German heritage disappeared. After the war, the monument was almost sent to a scrap yard. A rope was around its neck, about to be pulled down, when the residents and the KGB stepped in to save it. Some people say the Schiller statue was removed but returned after police found it somewhere near Magnitogorsk in the southern Urals, 3,000 kilometers from home.